I finally had a chance to use my mosaic decals as eyecandy in a map. I still don't know what to do with the scenario itself. But if you have advice about the general map or scenario design feel free to give me advice. Tropical island with treasure, temples and sea monsters, or pirates perhaps? Amazing. These are units that take the shape of the ground they're on right? Can you make them stand up without deforming them, on steep ground? Yes, it takes the shape of the ground. 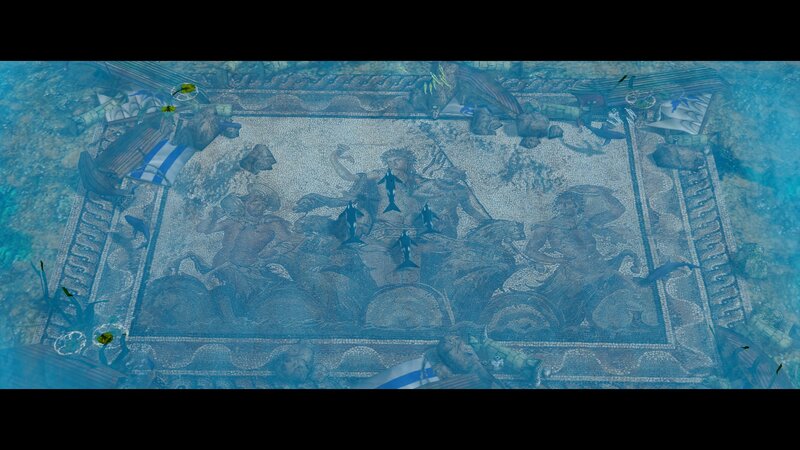 Edge of the fish mosaic, kind of bends in the Atlantis tile screenshot. I had fun creating them. 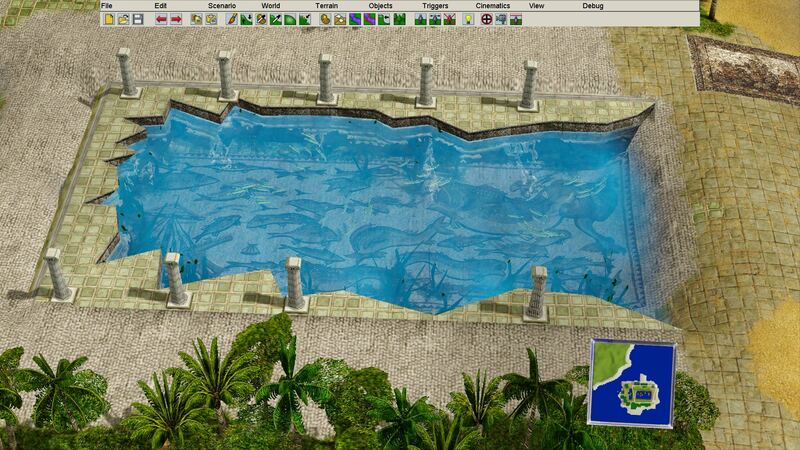 If I had 3D max, I was also going to create walls, or sea walls to make them look more like a swimming pool. 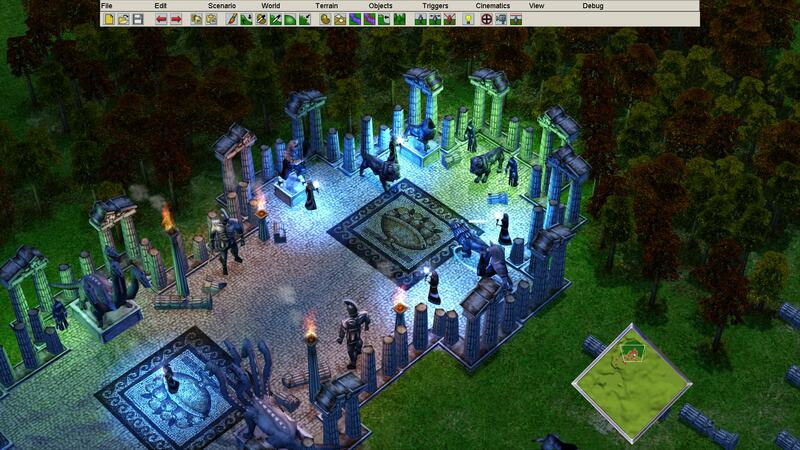 Gives the map a really nice feel, there would be so many uses for these. I am quite glad with this one. 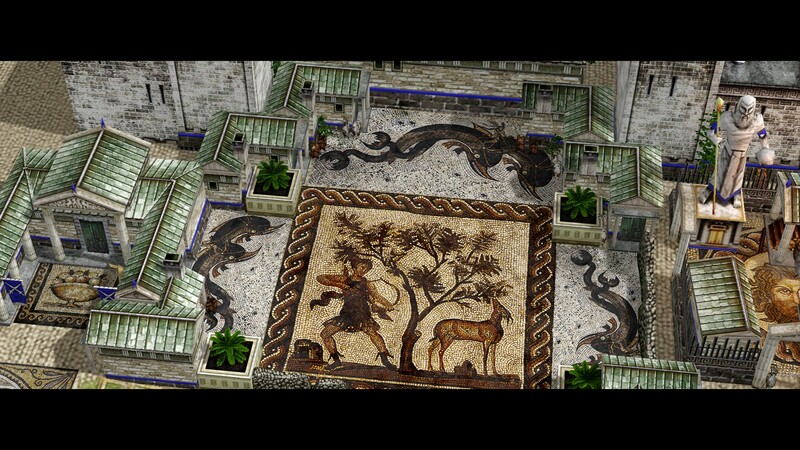 All the Greek Cities I created looked quite empty without proper mosaics, in the past. 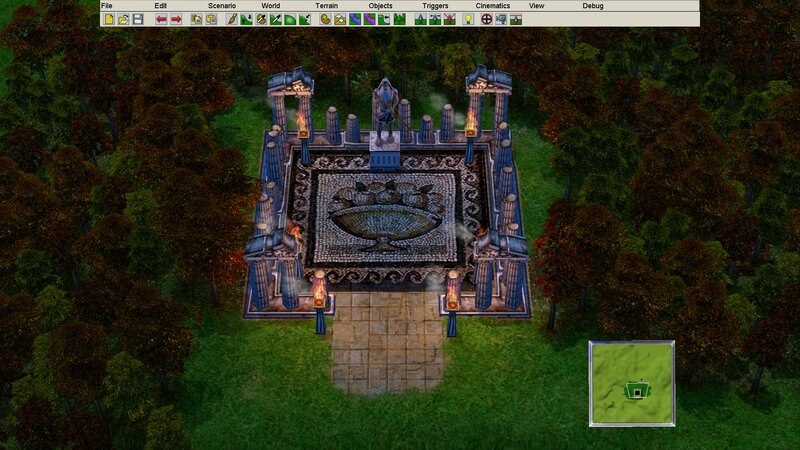 I can finally create a bustling Greek metropolis. Maybe I can create a campaign around this.